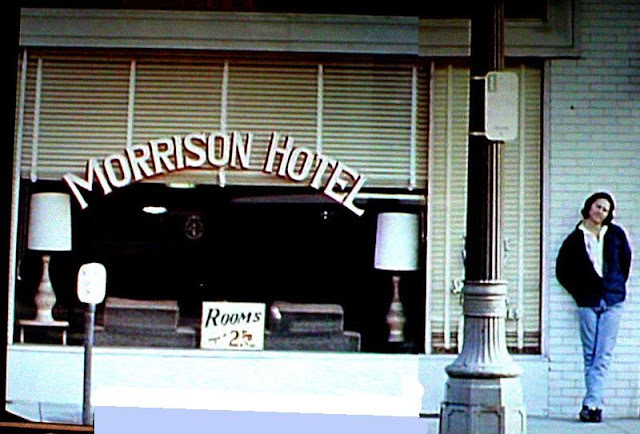 Morrison Hotel is the fifth studio album by American rock band the Doors, released February 9, 1970 by Elektra Records. 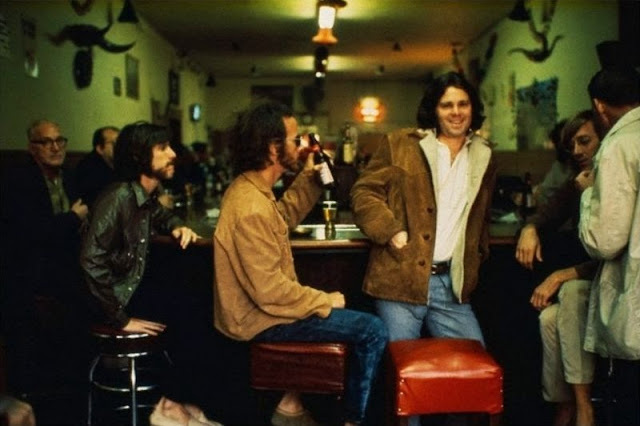 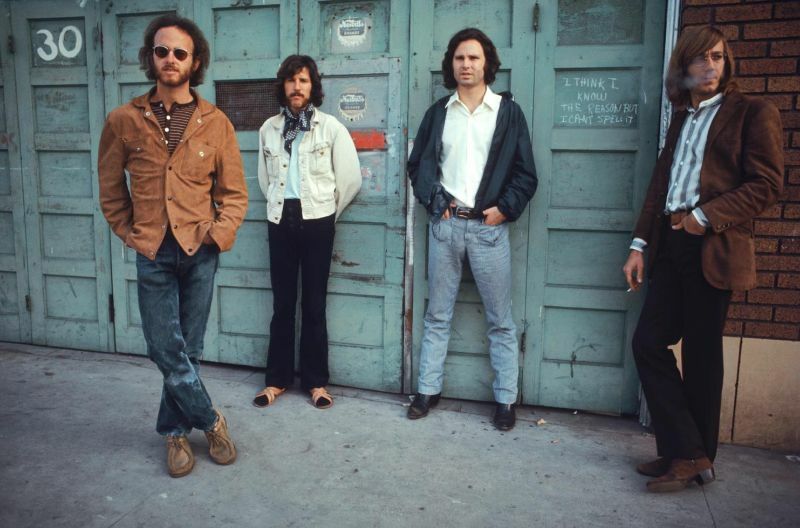 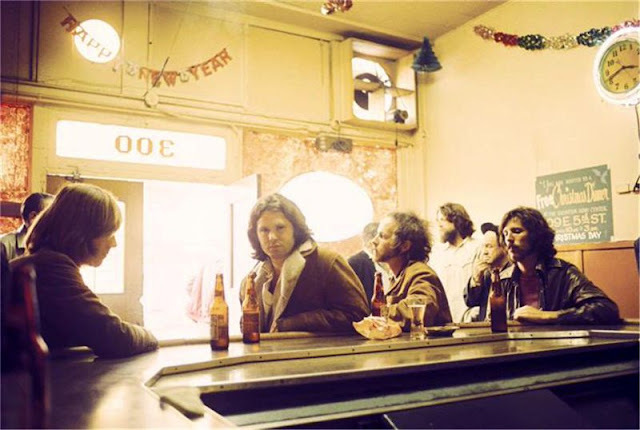 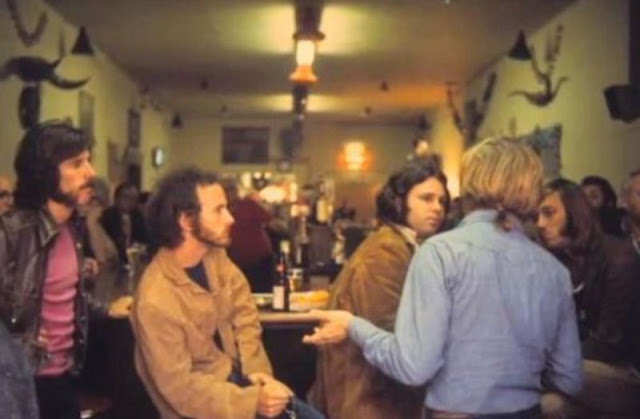 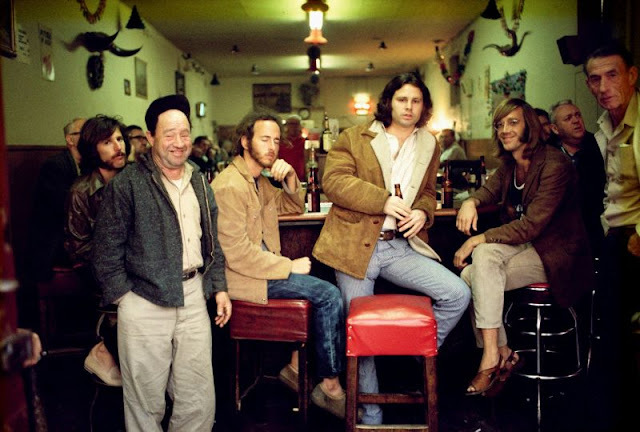 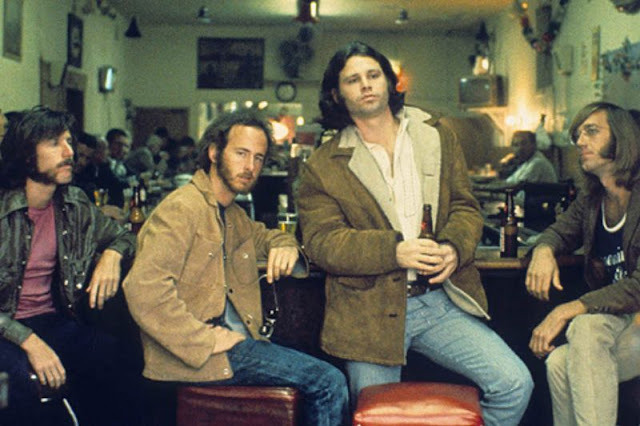 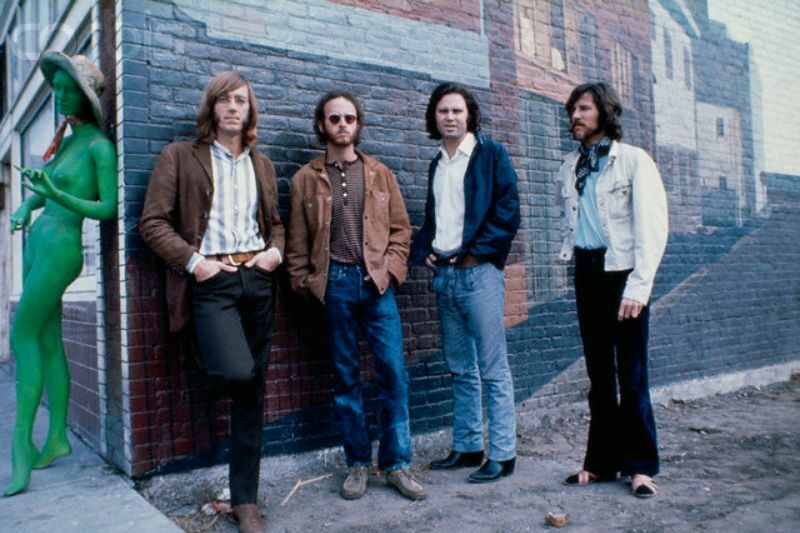 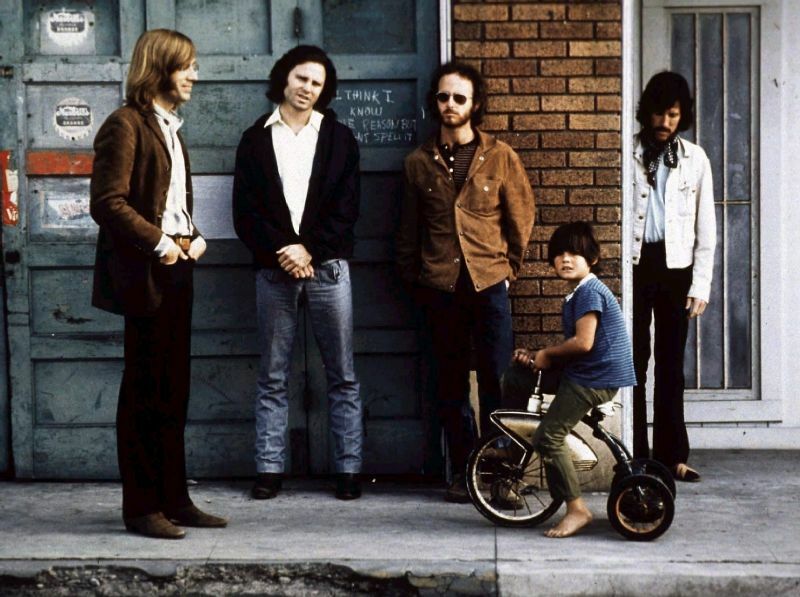 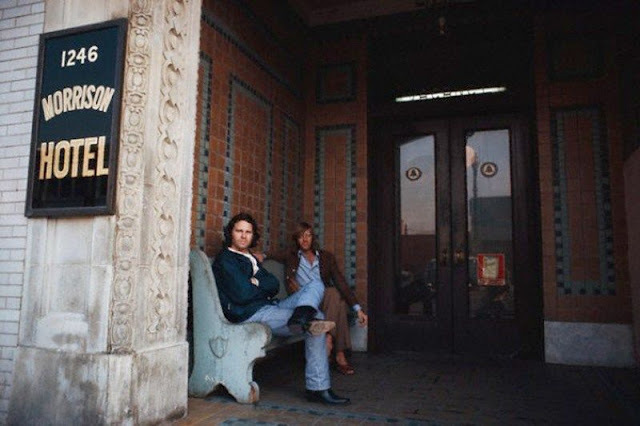 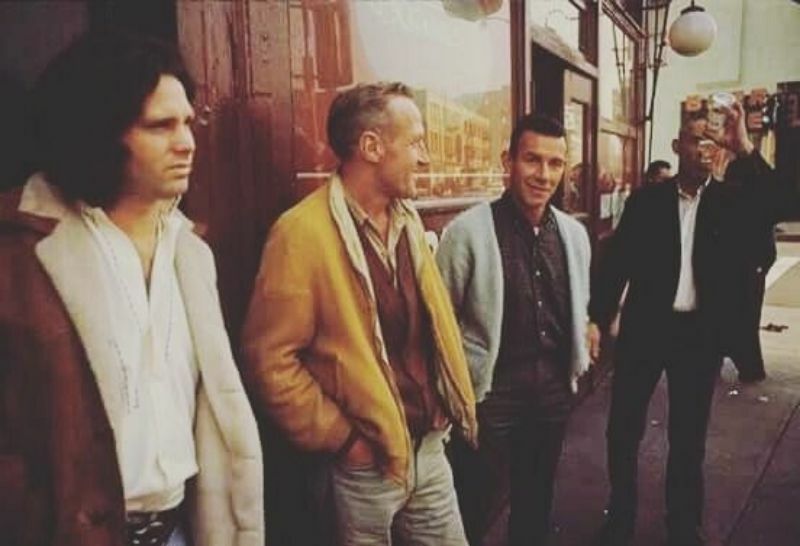 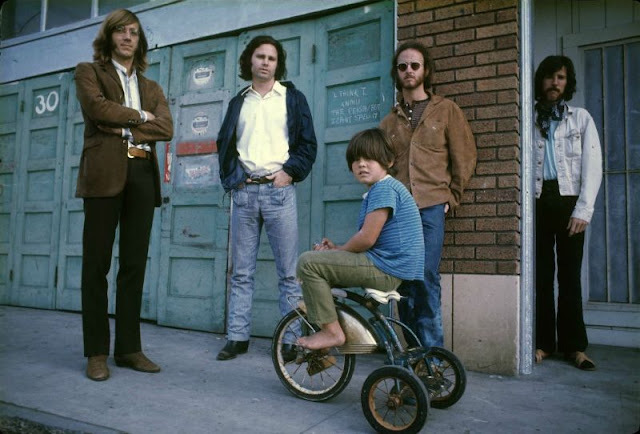 The Doors entered Elektra Sound Recorders in Los Angeles in November 1969 to record the album which is divided into two separately titled sides; “Hard Rock Cafe” and “Morrison Hotel”. 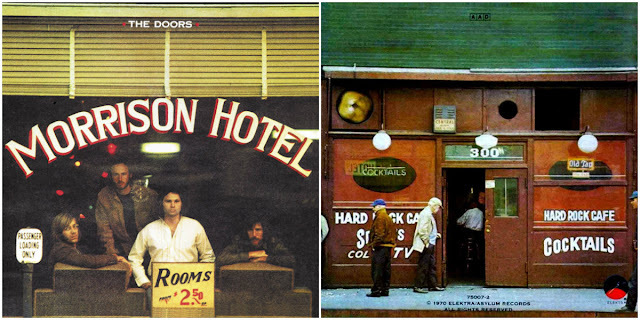 The group included session bassists Lonnie Mack and Ray Neapolitan on the album’s songs. Front and back album covers of Morrison Hotel. 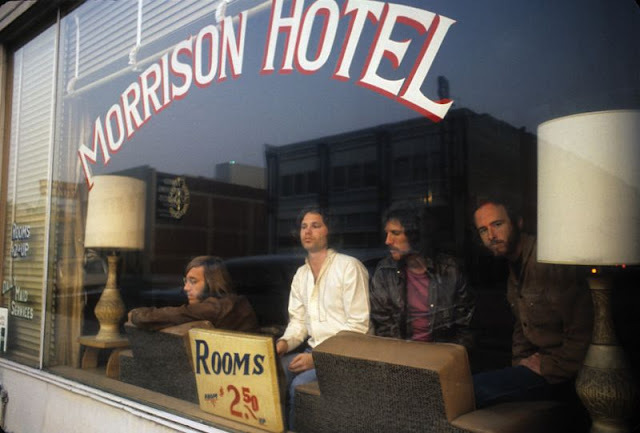 The album peaked at number four on the Billboard 200, and performed better overseas than the preceding album. 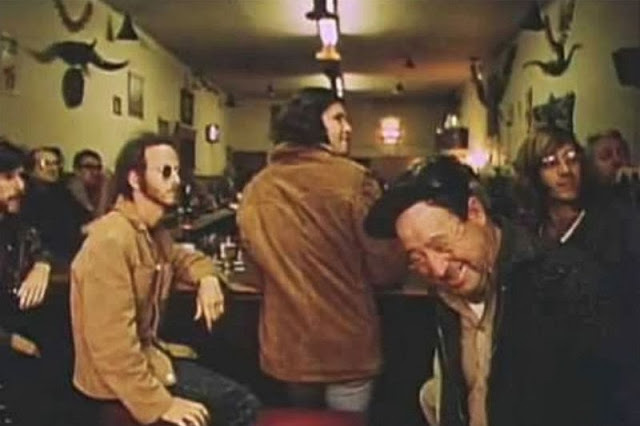 Only one single from the album was released, You Make Me Real/Roadhouse Blues, but it reached only a position of 50 Billboard 100 chart. 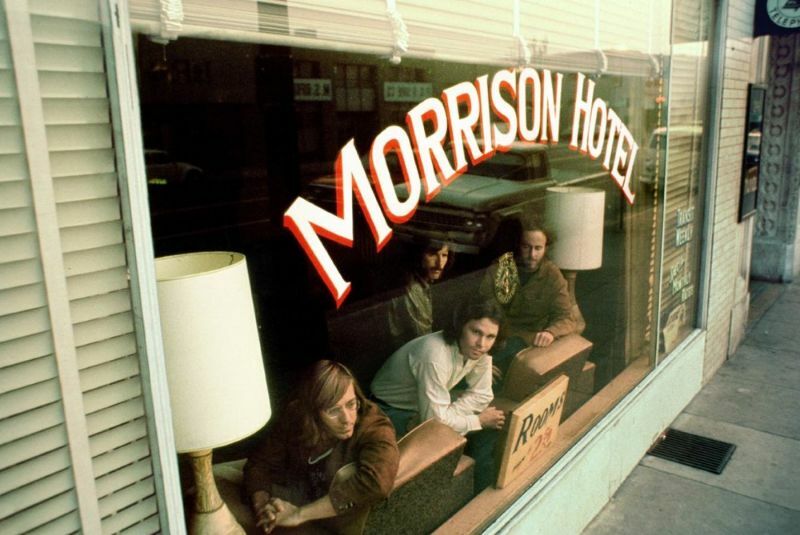 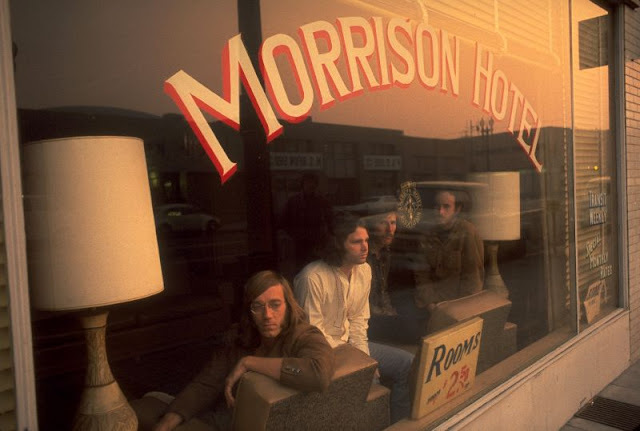 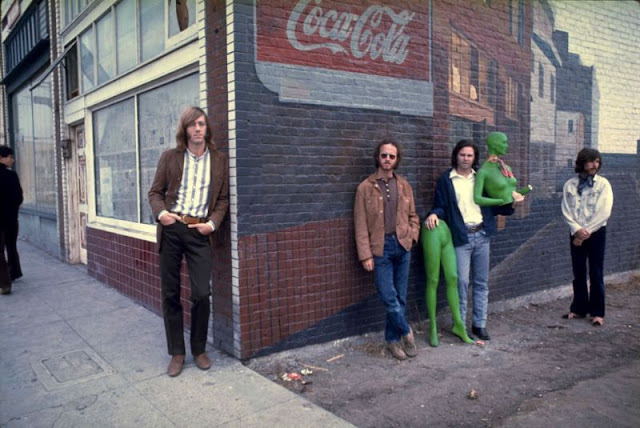 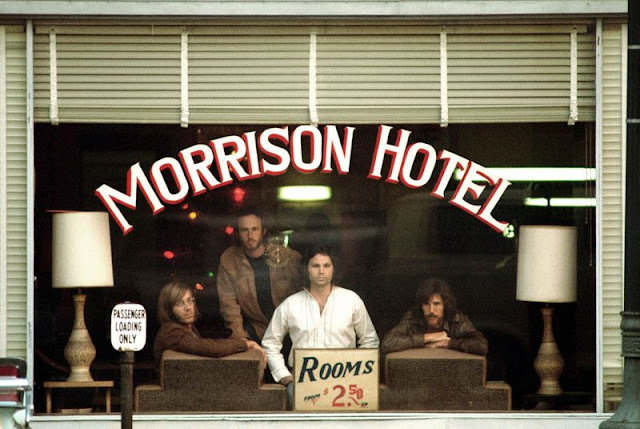 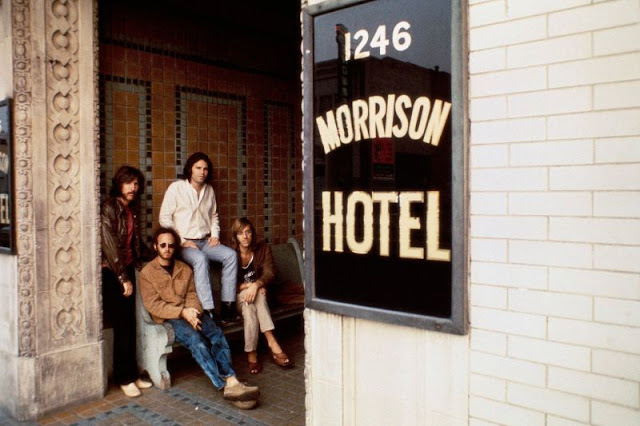 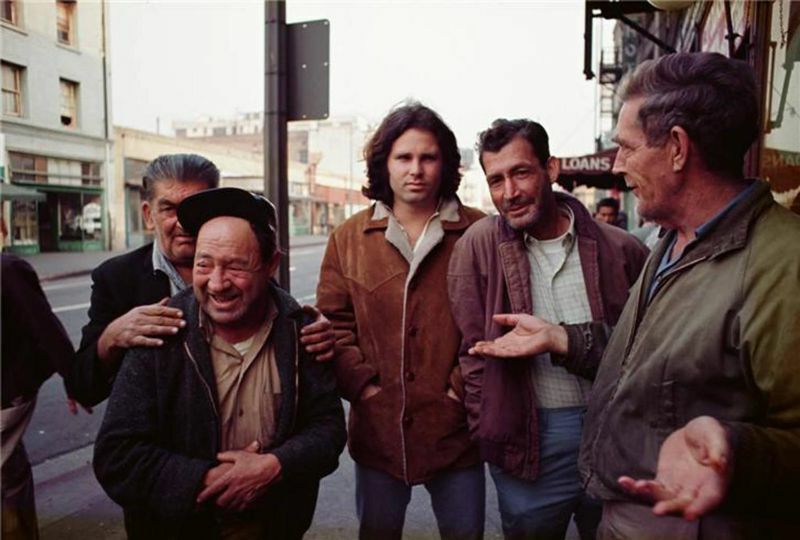 The album’s cover of Morrison Hotel was shot by photographer Henry Diltz through the window of this transient hotel in Los Angeles back in December of 1969. The location was ‘discovered’ by Ray Manzarek and his wife a few days before the shoot. 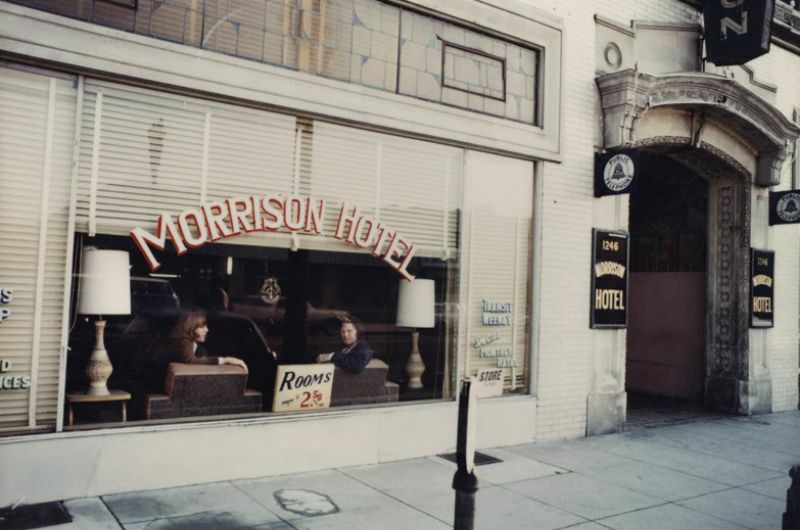 When the group returned with Diltz and approached the desk clerk about taking photos inside the building, they were turned down. 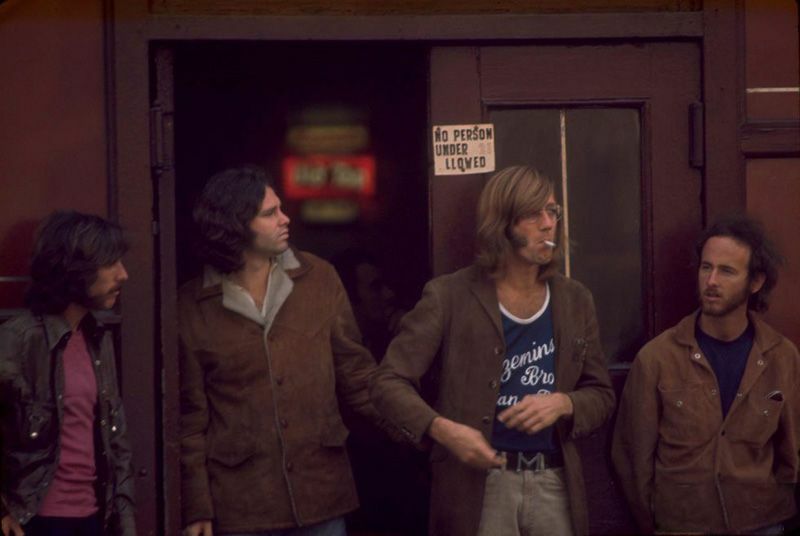 So Diltz took several shots of the group outside the building. 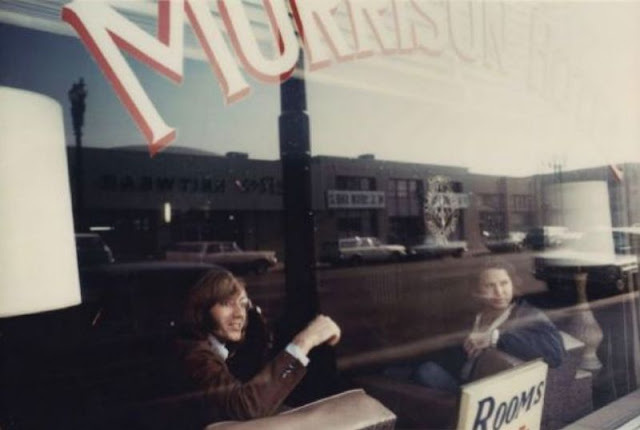 Eventually the clerk took a break and the group was able to sneak in and take their places inside the window for what would end up as the album cover. Today the hotel sits vacant and is near the Staples Center. 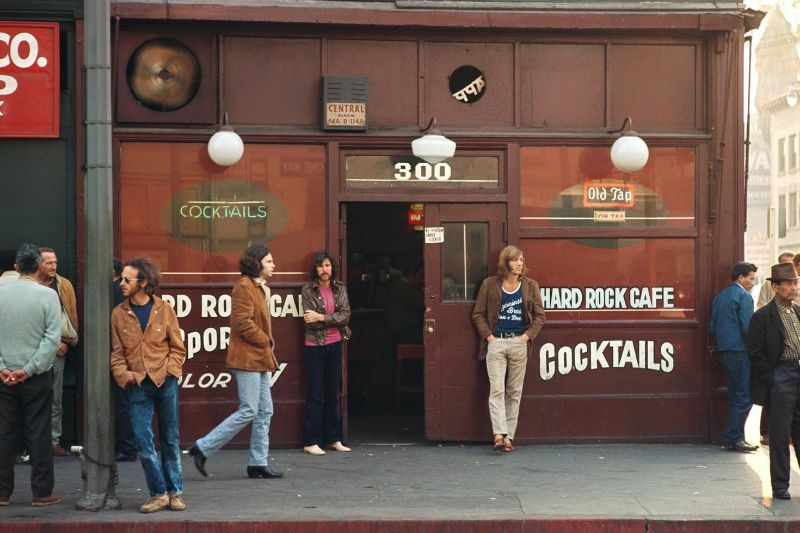 After the photo shoot, the group traveled north to get a beer and came across a bar called the Hard Rock Café. 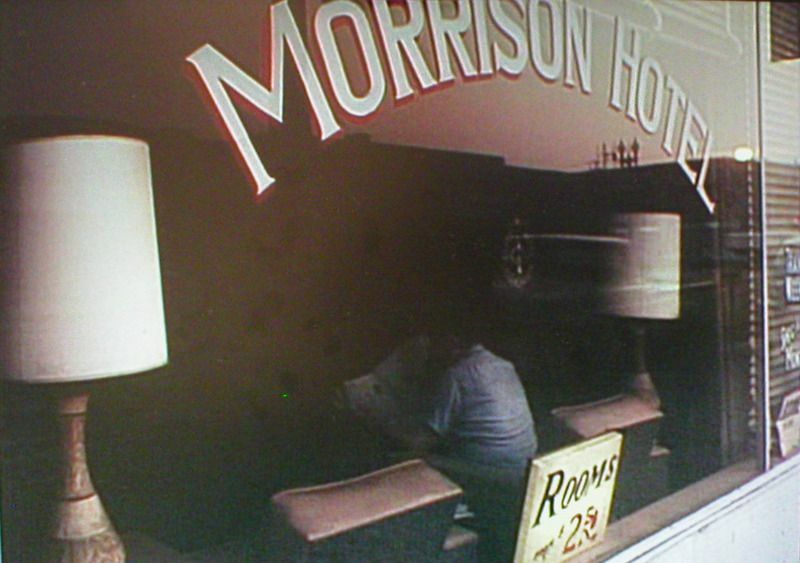 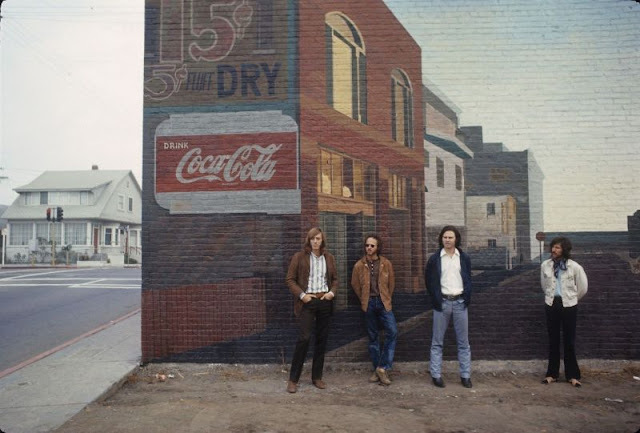 A photo of the bar would serve as the back album cover and a few years later a restaurant chain would take it’s name from this album. 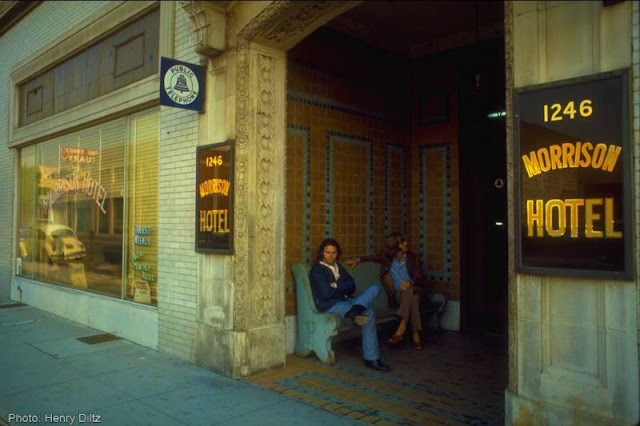 The building is now home to a convenience store.